Truck mounted cattle feed mixer wagons. 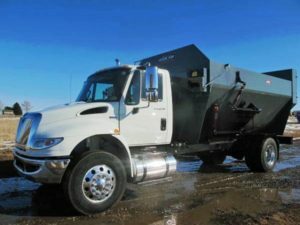 These TMR mixers are mounted on a truck. ***NEW*** Farm Aid 680 reel mixer, SN:2087, poly liners, 5′ chain discharge, all hydraulic drive so you can adjust reel/discharge speed with a dial and don’t have to change truck speed, Weightronix 640XL scale and scoreboard remote display. 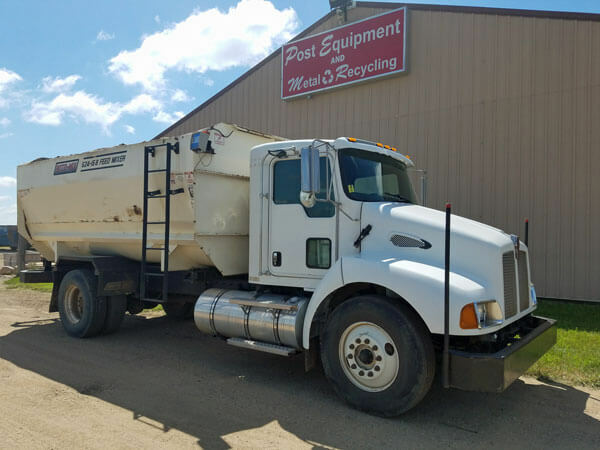 2014 International 4000 series truck, single axle with steel fenders, Maxforce DT A285 Diesel, 285HP, Allison automatic transmission, 156,000 miles, 5000 hrs. 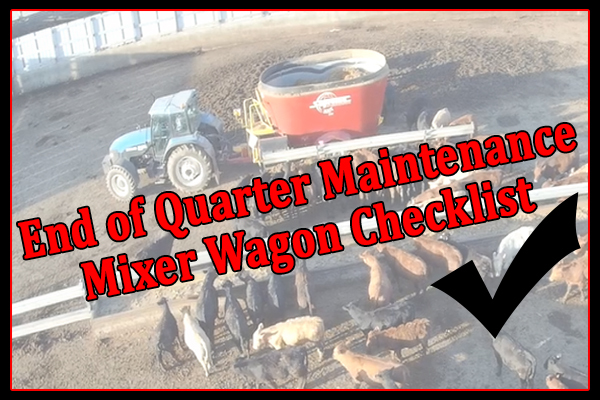 To make an enquiry about buying a feed mixer from Post Equipment, please call sales on (712) 476-4500.